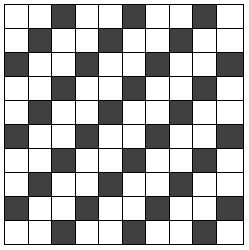 (34) The Number Puzzle Game: Rachel created this fun cross between the hundred-chart jigsaw puzzle (#7) and Gomoku (#23). You can download the free 120-board version here or buy the complete set at Teachers Pay Teachers. (30) Can you mark ten squares Sudoku-style, so that no two squares share the same row or column? Add up the numbers to get your score. Then try to find a different set of ten Sudoku-style squares. What do you notice? What do you wonder? 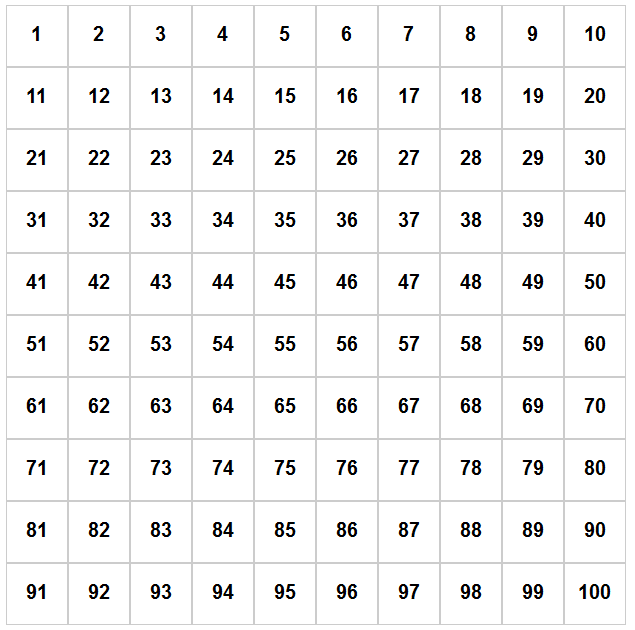 (29) Blank 100 Grid Number Investigations: Challenge your students to deduce the secret behind each pattern of shaded squares. Then have them make up pattern puzzles of their own.